August 22, 2013 - The U.S. Department of Transportation’s Federal Aviation Administration (FAA), working with the U.S. Department of Labor’s Occupational Safety and Health Administration (OSHA), today issued a final policy for improving workplace safety for aircraft cabin crewmembers. While the FAA's aviation safety regulations take precedence, OSHA will be able to enforce certain occupational safety and health standards currently not covered by FAA oversight. “Safety is our number one priority for both the traveling public and the dedicated men and women who work in the transportation industry,” said U.S. Transportation Secretary Anthony Foxx. Aircraft cabin safety issues that fall under OSHA standards include information on hazardous chemicals, exposure to blood-borne pathogens, and hearing conservation programs, as well as rules on record-keeping and access to employee exposure and medical records. The FAA and OSHA will develop procedures to ensure that OSHA does not apply any requirements that could adversely affect aviation safety. “We look forward to working with the FAA and through our alliance with the aviation industry and labor organizations to improve the safety of cabin crewmembers,” said Dr. David Michaels, assistant secretary of labor for occupational safety and health. 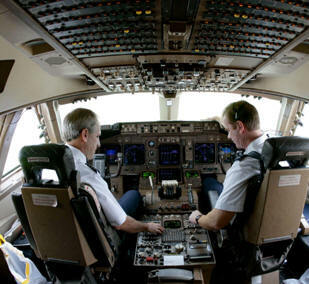 Through the FAA Modernization and Reform Act of 2012, Congress required the FAA to develop a policy statement to outline the circumstances in which OSHA requirements could apply to crewmembers while they are working onboard aircraft. The policy will be effective 30 days after publication in the Federal Register. OSHA will conduct outreach and then begin enforcement activities after the first six months from the effective date.